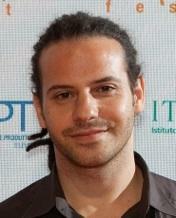 Giorgio Galli is a creative but very technically minded editor with over 10 years experience working in TV and films. He owns a fully licensed Avid & DaVinci Resolve studio with 4K capability and grading monitor. He has worked on pretty much any sort of project from drama and documentaries to short forms such as promos, commercials and corporate films. Giorgio Galli graduated in Psychology in Rome and moved into films briefly after completing his degree. He has been working in London as professional editor for over 10 years on a wide range of projects from broadcast programmes for UK national TV to documentaries, shorts and features films. Most of the shorts edited in the past two years have successfully screened in festivals in Europe and worldwide. Chance (2015), by Jake Graf, has won over 10 awards internationally in the last year and is still being accepted in festivals. He has recently completed his first two feature films which are due to be released later in 2016. Astral, starring Frank Dillane (Fear of the Walking Dead) and Vanessa Grasse (Leatherface), is currently in the final post production stage and being considered for international sales.